Truck Mattresses - Replacements to fit all makes and models Truck Mattresses - Replacements to fit all makes and models - North America Mattress Corp. Whether you’re driving team or riding solo, you can now customize your sleep experience with a simple flip. This truly is the perfect marriage between durability and comfort. Featuring Cool Gel memory foam for a luxurious sleep on the road. The “blue” gel memory foam top layer is designed to deliver all the benefits of standard memory foam plus heat dissipation. The “gel” in gel foam allows for enhanced air circulation. The Big Trucker is dual sided and engineered with added support for the larger driver. All foam is CertiPUR-US certified, all materials are entirely sourced from America. With extra comfort and support, the Big Trucker was designed with the larger driver in mind. With a full 7 inches of the highest quality foam on the road, this mattress will not flatten out. Our Road Premier Mattress for trucks or home is a plush quilted memory foam mattress. It features a special lofted quilt top that covers over 2" of conforming memory foam. Our basic truck mattresses, engineered for comfort, affordably priced. Flip this truck mattress for Firm Support or Soft Conforming. Either side provides a comfortable night’s sleep. Also contains a medium firm core to promote comfort throughout the mattress. 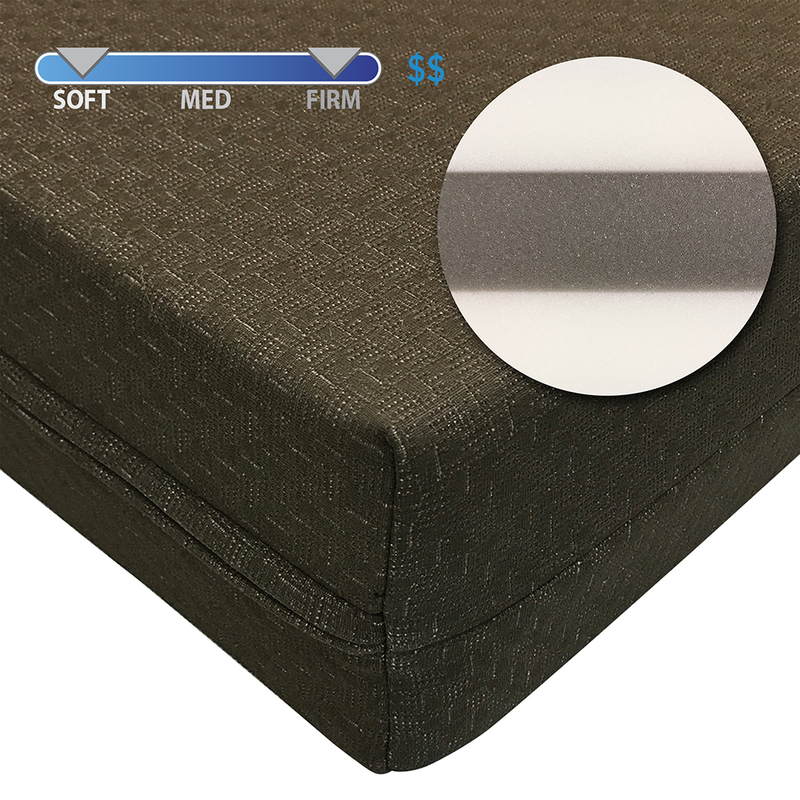 This economical truck mattress is covered with comfortable quiet nylon fabric. Same great medium density foam throughout the entire mattress.